Google Reader will go away on July 1, and with it, the ability of its users to quickly keep up with the world through their meticulously curated updates from various news services, blogs and websites. Many people have been expressing outrage since the announcement and many have scrambled to find a substitute before the virtual axe falls. There’s even the Replace Reader survey page that asks what people via Twitter are using as alternatives to Google Reader. Feedly, which has stepped up its game since Google announced Reader was headed for the dustbin, can run in most popular Web browsers and also has app versions for Android and iOS. You can just log in with your Google account and all your old G-Reader feeds get imported automatically. 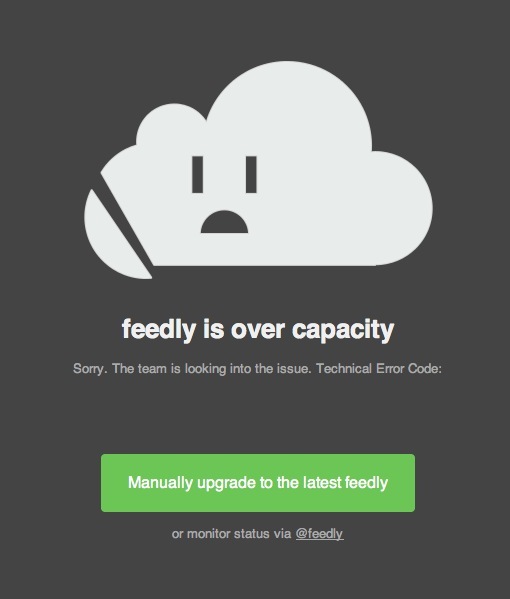 Feedly has been getting hammered this week as the End is Nigh, so you may see their version of the Twitter Fail Whale — the Over Capacity Sad Cloud — but keep trying. Feedly also has a fairly detailed Help Guide for those who need it. NewsBlur bills itself as a personal news reader and comes in both a free version that lets you track 64 sites or a premium version or $24 a year that gives you unlimited sites to add to your feed. You get real-time RSS (important in these days of breaking news), the power share and hide stories from your feed and the ability to view the stories on their original sites. The site has Web, Android and iOS versions. Flipboard, the mobile app that lets you create your own dynamic digital magazines on your iPad or Android tablet from things you find around the Web is another Google Reader importer. You just need to create a free Flipboard account or log in with your Facebook credentials. 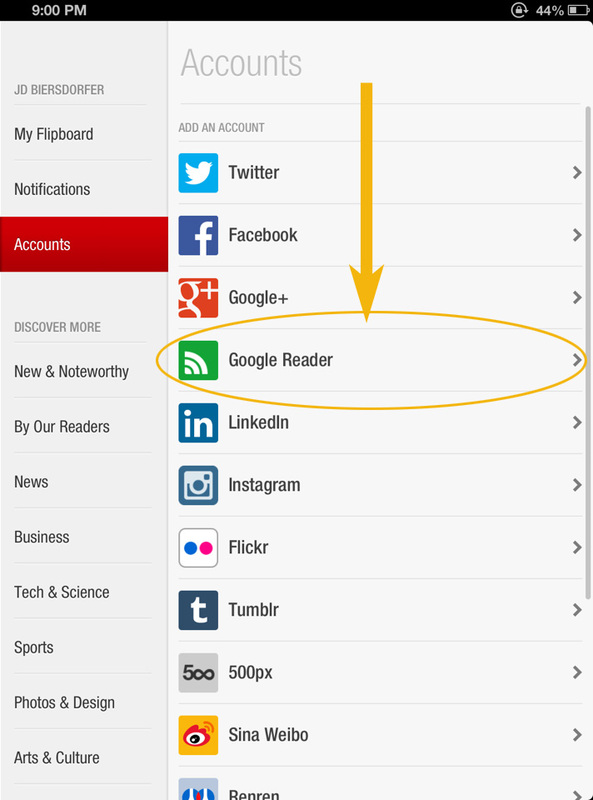 Once you log into Flipboard, log in with your Google account to pull in your Reader feeds. Two big names have recently entered the fray as AOL and Digg have each been working on their own Google-esque RSS reader to fill the void. AOL Reader, which lets you sign in with an AOL, Google, Facebook or Twitter account, promises to be a highly customizable RSS system where you can import subscriptions from other readers, star and tag articles and tweak the page layout to your liking. AOL is also making the API available for anyone who wants to create AOL Reader mobile and desktop apps. 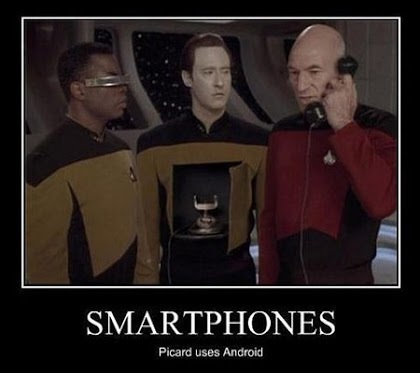 AOL itself plans Android and iOS app versions and the ability to share with other AOL Reader users within the system. Digg Reader, which was a whirlwind three-month race to release before Google Reader rode off into the sunset, had a short beta period to generally positive reviews. It imports existing G-Reader feeds and uses a layout that’s noticeably similar. The first version was made for the Web, an iPhone app is expected and a premium edition that costs money is also said to be in the works. It’ll probably be a work-in-progress for a while. Don’t like any of the current options? Just wait — Facebook is working on a reader of its own, too, although it sounds a bit different from other straight-up RSS reader apps. Seriously, though, if you have a Reader feed that you don’t want to lose, visit the Google Takeout page now — or at least before July 1 — to export your info as an XML file. That way, you have it on hand to import whenever you find a new RSS reader that you like. And here’s hoping whatever new RSS Reader you find sticks around for awhile so you don’t have to lose your news all over again. Samsung finally whipped the veil off its Galaxy S4 smartphone last week and the fancy new model should be on sale by the end of April. The Android-based Galaxy S4 is bringing Samsung a lot of attention for its hardware design, the Wall Street Journal is reporting that some Google executives are getting worried about that because it may mean Samsung wants to horn in on mobile-search revenue. Samsung has been tinkering around with its own mobile operating system as well. Google itself it keeping busy and is said to be working on a new note-taking app called Google Keep that works a bit like the popular Evernote service and uses its own Google Drive cloud storage system. Some sources are also saying the company will soon be unifying its multiple messaging services — which include Google Talk, Hangout, Voice, Messenger, Chat for Drive collaboration, and the Google Talk for G+ — into one fresh new service called Babble that can go up against Apple’s iMessage service and BlackBerry Messenger. Google’s recent decision to kill off Google Reader has proven to be good news for the Feedly RSS service. The Los Angeles Times and others have reported that Feedly gained half-a-million users after Google announced it was dumping Reader and robbing the faithful of their favorite RSS software. Microsoft would like you to update your Windows 7 machine to Windows 7 Service Pack 1 if you haven’t already done so. If not, Microsoft will start doing it for you this week as part of Windows Update. Microsoft has also stamped an end of mainstream-support date of July 8th, 2014 for its Windows Phone 8 software, which has started speculation that Windows Phone 9 may be on the way soon. And over in Cupertino, Apple released iOS 6.1.3 this week to fix a pesky flaw that knowledgeable intruders can use to blow by the lock screen.